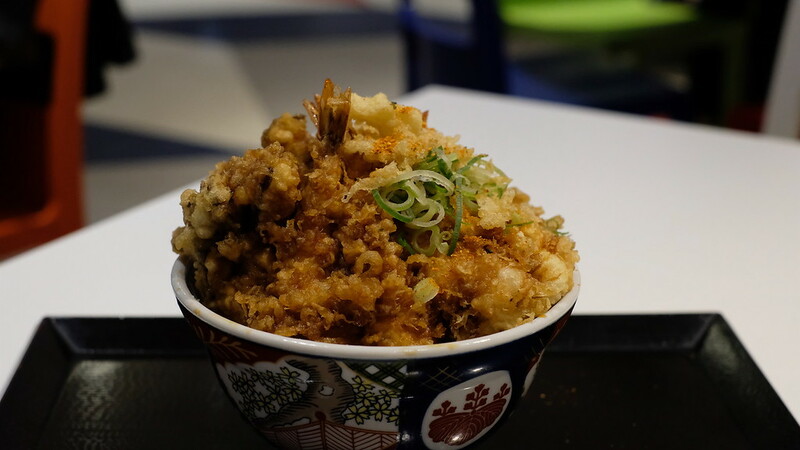 The Banpaku Memorial Park outpost of the famous Kaneko Hannosuke tendon serves up a solid and perfectly decent bowl of tempura. Don't expect the nicest surroundings though - you'll be chowing down in a food court. Banpaku Memorial Park is one of my favourite day trips out of Osaka. Perhaps it was the unseasonably late autumn, or the light rain in the air when I went, but I had the Japanese garden there almost entirely to myself. The National Museum of Ethnology is a superb way to spend several hours, and the nearby Folk Craft Museum is absolute joy for anyone who loves Japanese craft. In terms of great eating, however, pickings are rather slim. You could certainly dine at the restaurant in the National Museum of Ethnology, which looks like it serves fairly acceptable meals. 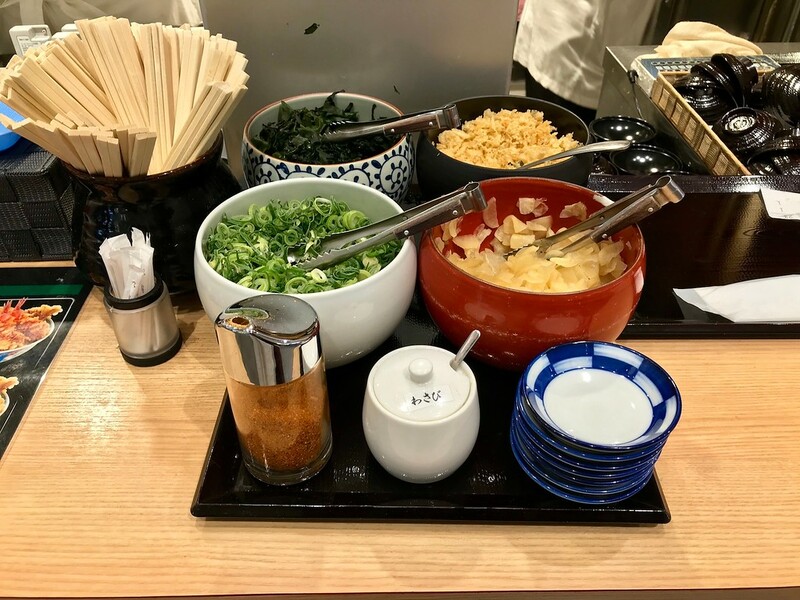 LaLaPort nearby has far more in the way of dining options, though they are mostly what you expect a shopping mall to offer - the usual child-friendly chains, conveyor belt sushi-type restaurants, and food courts. 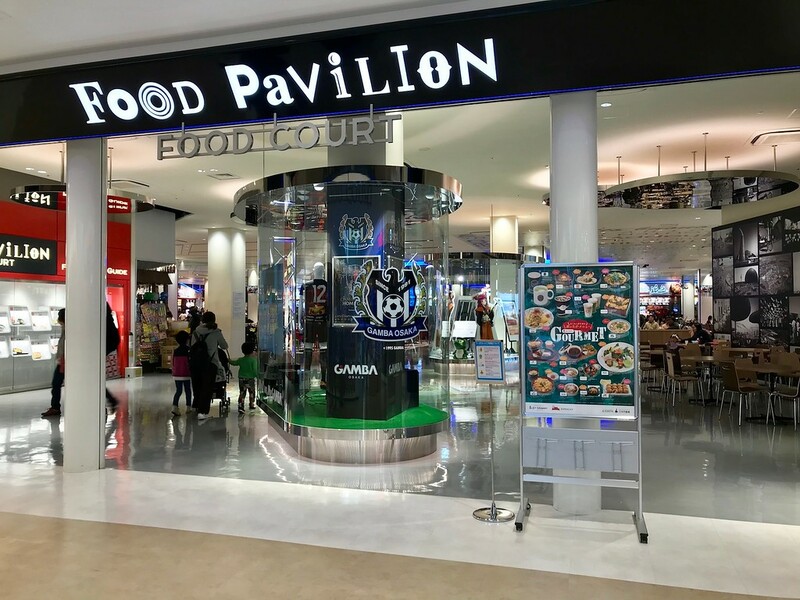 Food Pavilion, a food court on the third floor, is a surprisingly decent place to find food. Just don't sweat the screaming toddlers. One reliable standby at the food court is Tendon Kaneko Hannosuke. The original shop in Tokyo sees queues of several hours out the door for a bowl of their tendon (tempura rice bowl). It's no surprise that they've expanded to several locations around the country. In this Suita City outpost, you won't have to queue for more than a few minutes. Limitations are a beautiful thing, and with just a few items on the menu, pointing and ordering is easy. 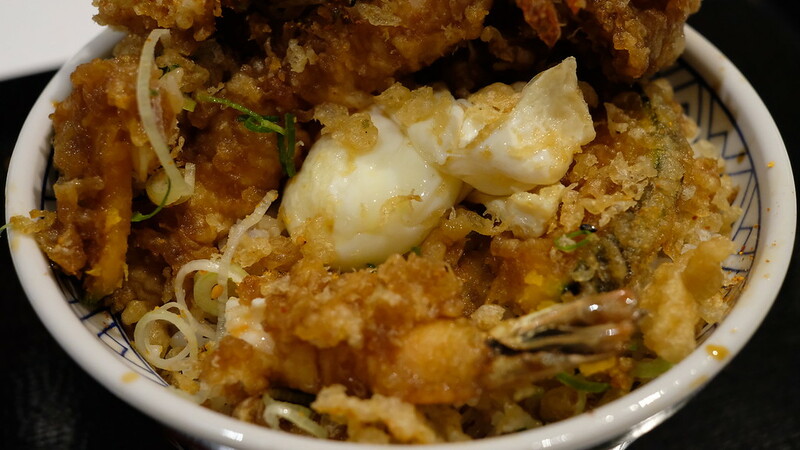 The prawn tendon (A) comes with vegetables. You can have more if you're feeling generous to yourself: I suggest an extra piece of maitake mushroom. A bowl of miso soup is JPY120. Beer or highballs can be had for JPY500, or soft drinks for JPY150. Tempura can vary quite a bit within the genre: the batter can be light and crisp, thick and craggy. You can eat it with a dusting of salt, dipped in tentsuyu sauce, or have it doused before you eat. 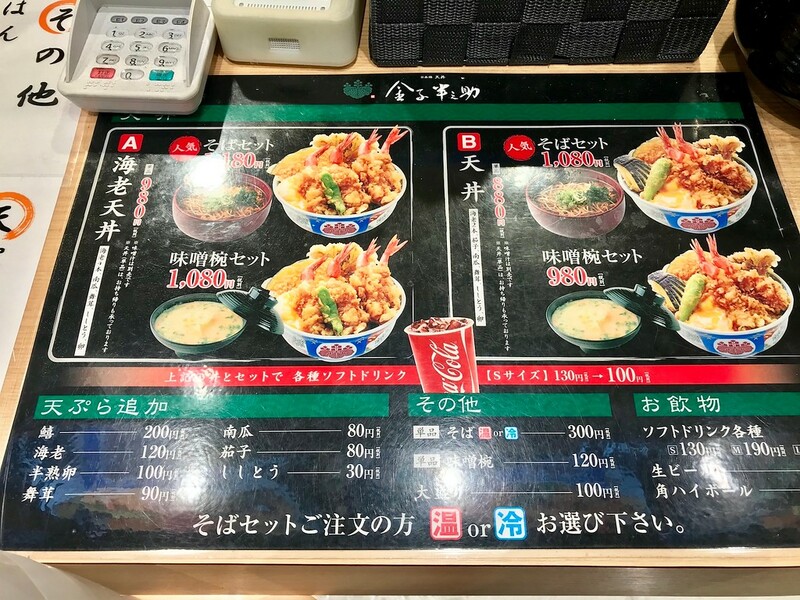 Kaneko Hannosuke sauces their tempura before serving, so by the time you run over with your buzzer to pick your order up, it is probably not quite as crisp as it was about 30 seconds ago. 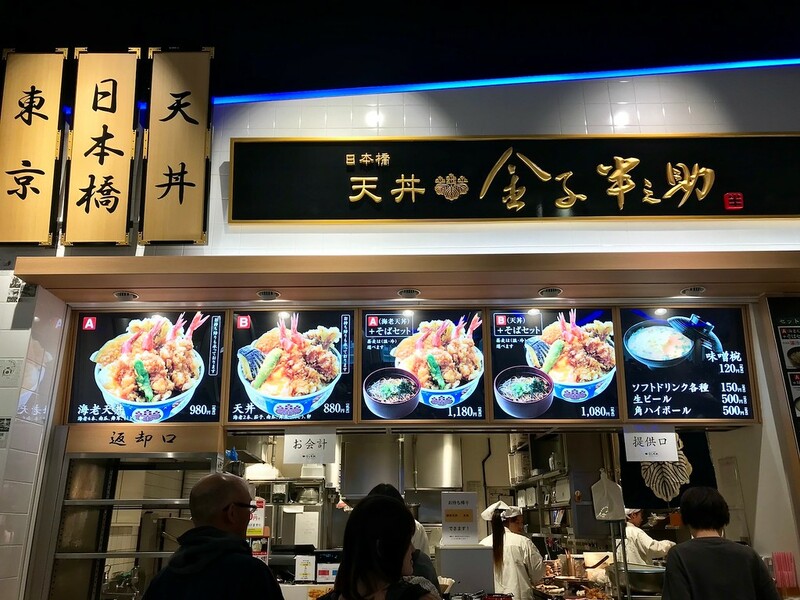 Still, it is a pretty damned decent bowl of tendon, much better than you'll probably find in many restaurants, and certainly a step above most of the other offerings in this food court. 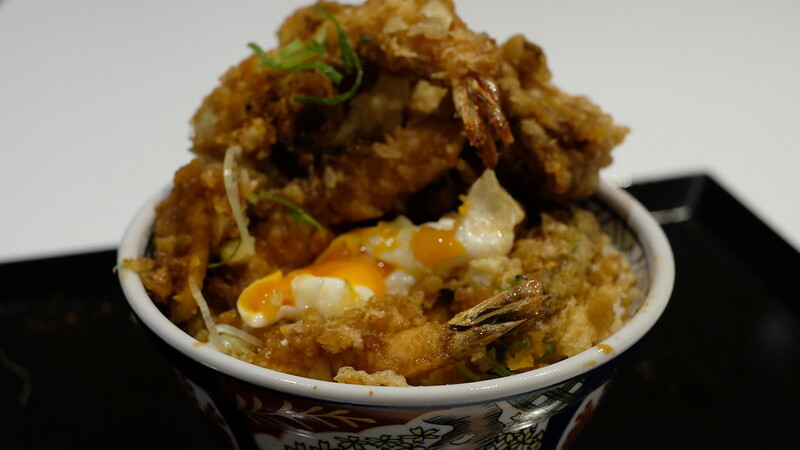 It is a generous bowl of saucy rice packed high with fried toppings: several prawns, vegetables (the pumpkin! the aubergine! the maitake mushroom!) and a gooey-yolked fried egg at the heart of the bowl. The tentsuyu is the key to all of this - an umami-packed sauce hitting a number of salt-savoury buttons on your taste buds. The batter might be a little thicker and greasier than at the original shop, but it does soak up the sauce remarkably well, and is entirely forgivable for a food court outpost. 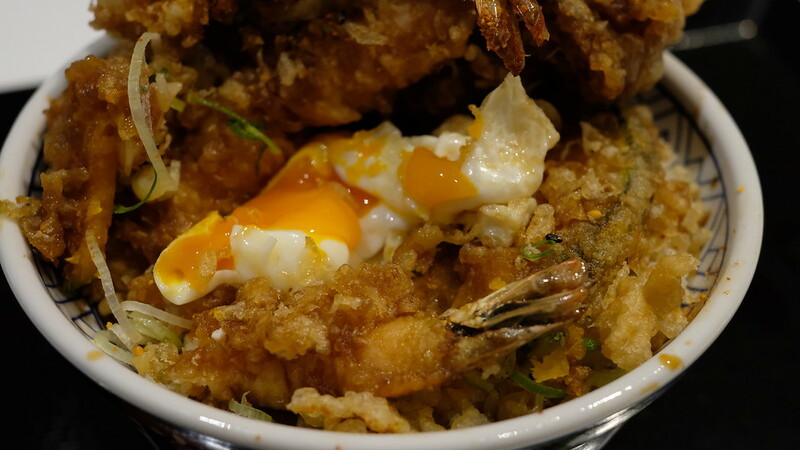 In a similar fashion, the rice is beautifully textured, the grains of rice coated in gooey yolk and sauce. It is a hearty bowl worthy of your attention, especially if you have spent the morning walking around the park in the rain for a few hours. Is it as good as the Nihonbashi home store? No, but the tempura is a very decent facsimile. More importantly, you won't encounter the same 1-3 hour queues from Tokyo. If you happen to be in the area for sightseeing, this isn't a bad place at all to have lunch or dinner. Directions: From Banpaku Kinenkoen Station, follow the signs to LaLaPort EXPOCITY. You'll walk past the Nifrel aquarium on your left and Gundam robots on your right en route to the shopping mall. Head up to the third floor and make your way to the Food Pavilion. Kaneko Hannosuke is inside the food court.